We offer immediate medical care to tourists with chronic pain and discomfort of (longterm) injuries. Simply contact us to explain your situation and our medical team can advise you, send a doctor or an appropriate medical team to your hotel or other location. Our palliative care improves and maintains the quality of life and not the quantity. For your vacation we provide a total care plan for all pain symptoms and aspects of an illness - physical, emotional, mental, social and spiritual. In this way the patient can enjoy a beautiful vacation with family and loved ones. High Quality First Class Care, by highly trained and experienced doctors at very reasonable prices. Medical Tourism is an increasing phenomenon in which you can combine a Caribbean vacation with a procedure at a clinic or hospital. At the Sahoury Clinic you can have a first class procedure performed by top quality European and American registered, highly experienced doctors and specialists. With the difference that our costs are lower than European and American hospitals. 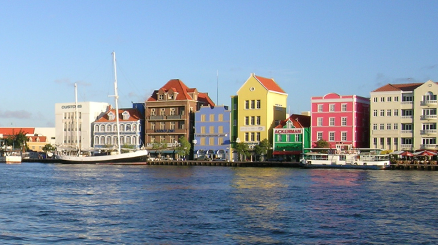 The total costs of a treatment and an unforgettable vacation on Curacao can even be lower than a treatment at your local hospital. Our dedicated staff always find a way to make your experience on the island a pleasant one for you and your loved ones. They will help you plan every step of the way before you come to The Sahoury Pain Clinic. Besides the medical, insurance and financial aspects we can also arrange or bring you in contact with several hotels and other services you may need like transportation. You can even enjoy a luxurious hotel with amenities like spa's and beautiful island trips. Feel free to contact us through Info@sahourypainclinic.com or tel (599-9) 736-3006.